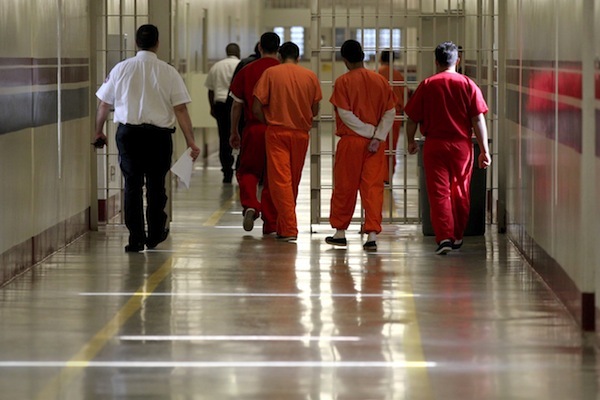 Foreigners who are convicted of a crime often face deportation after serving their sentence. The problem is that their home countries won't always take them back — and some serious ex-cons are released onto U.S. streets. Both legal and illegal immigrants face deportation, but after their home country turns them down, certain U.S. areas are affected more seriously than others. For example, the Miami area has a huge amount of foreigners convicted on drug charges, while those convicted of other crime — like robbery — are more spread out. The dots below represent "Areas of Responsibility," which are the field offices responsible for the convict. Explore this convict list by sorting by crime or city. Foreigners can be deported for anything from disorderly conduct to hijacking an aircraft. (Yes, that happened.) The most serious crime for many of these convicts was drug-related, but there are more than 200 immigrants convicted of homicde who were turned down by their home country and released in the U.S.
Below are the top 50 crimes these immigrants were convicted of. If you filtered for a city on the convict list, it will only reflect convicts from that city. 1. Convicted of crime and sentence served First off, a foreigner is convicted of a crime — and there are case studies showing foreigners receive lesser sentences because they will be deported anyway. Legal immigrants also face deportation for relatively minor offenses, like shoplifting. 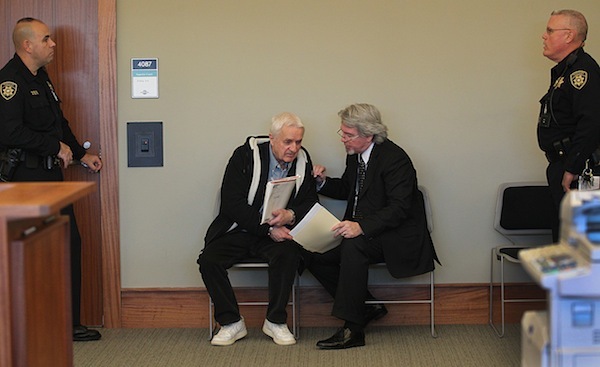 Walter Miszczuk, an elderly refugee from Poland, was imprisoned for more than five years awaiting deportation after he pleaded no contest to criminal charges without realizing it would trigger deportation. A federal judge finally freed him, saying the immigration court had not made its case that he was a criminal. 2. Deportation proceedings begin At the end of the sentence, Immigration and Customs Enforcement (ICE) takes custody of the foreigner to begin deportation proceedings. The criminal are held at a detention center. 3. Home country turns down convict ICE then seeks formal approval from the criminal’s home country to deport them there, but at least 20 countries routinely fail to grant permission. The U.S. doesn't push back for many reason, one being that they don't want to cause any political waves. 4. Criminal released If ICE officials cannot get approval to deport the criminal within six months, they must release him or her. The only exceptions are if deportation is imminent or they can prove the criminal is a safety threat. ICE has freed 8,000 criminal aliens in the last four years because they couldn't be deported. The Department of Homeland Security rejected the Globe's formal request for the names of the released criminals, arguing that it would violate the immigrants' right to privacy. So the Globe filed a federal lawsuit against the agency in hopes of forcing federal officials to release the names. For now, the identities of the released criminals become public mainly when they commit new crimes. There's Abel Arango, an armed robber who was released when his native Cuba wouldn't take him back, who shot and killed a Fort Myers, Fla., police officer in 2008. There's Binh Thai Luc, an armed robber from Vietnam who couldn't be deported either. In March, he allegedly massacred five people in a San Francisco apartment. Here in Massachusetts, one of the best known released criminals is Antonino Rodrigues, a convicted drug dealer who was rejected for repatriation to his home country, Cape Verde. He has pleaded not guilty to shooting a New Bedford man in the forehead last summer. The victim survived. Names of these released criminals are not made public until they commit new crimes.